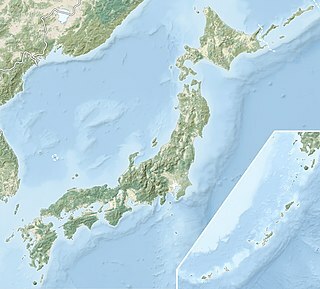 The Kashiwazaki-Kariwa Nuclear Power Plant, a Japanese nuclear plant with seven units, the largest single nuclear power station in the world, was completely shut down for 21 months following an earthquake in 2007. 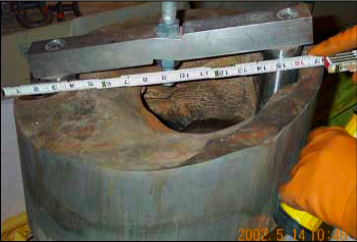 Erosion of the 150-millimetre-thick (5.9 in) carbon steel reactor head at Davis-Besse Nuclear Power Plant in 2002, caused by a persistent leak of borated water. 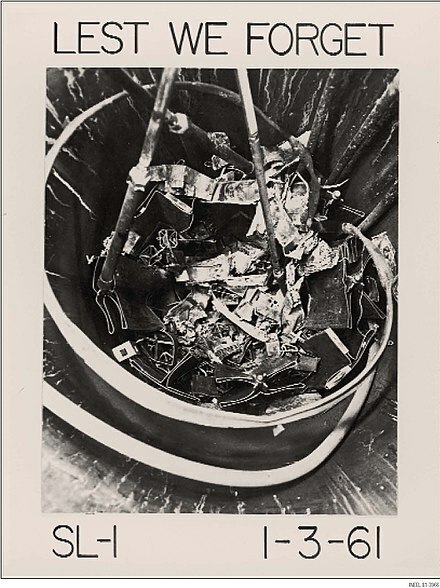 This image of the SL-1 core served as a reminder of the necessity for proper reactor practice and safeguards. The 18,000 km expanse of the Semipalatinsk Test Site (indicated in red), which covers an area the size of Wales. 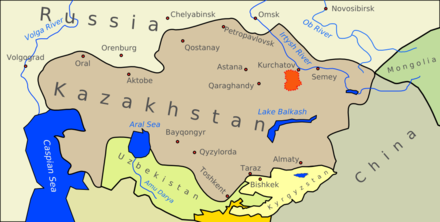 The Soviet Union conducted 456 nuclear tests at Semipalatinsk from 1949 until 1989 with little regard for their effect on the local people or environment. The full impact of radiation exposure was hidden for many years by Soviet authorities and has only come to light since the test site closed in 1991. These are lists of nuclear disasters and radioactive incidents. A nuclear and radiation accident is defined by the International Atomic Energy Agency (IAEA) as "an event that has led to significant consequences to people, the environment or the facility." Examples include lethal effects to individuals, radioactive isotope to the environment, or reactor core melt." The prime example of a "major nuclear accident" is one in which a reactor core is damaged and significant amounts of radioactive isotopes are released, such as in the Chernobyl disaster in 1986. Three Mile Island isthe Three Mile Island Nuclear Generating Station in eastern Pennsylvania. Airborne radioactivity was detected in Europe in autumn 2017, starting from the last days of September. The source is widely suspected to be in Russia; however, the Russian government denies that any nuclear mishaps occurred that could have caused the radiation spike. The radioactive isotope detected was ruthenium-106; across Europe, it was found to be in small quantities, not significant for the health of the population far away from the source. However, it is estimated that the radiation released posed a danger to any employees or residents within several kilometers of the currently-unknown source. The Fukushima Daiichi nuclear disaster was an energy accident at the Fukushima Daiichi Nuclear Power Plant in Ōkuma, Fukushima Prefecture, initiated primarily by the tsunami following the Tōhoku earthquake on 11 March 2011. Immediately after the earthquake, the active reactors automatically shut down their sustained fission reactions. However, the ensuing tsunami disabled the emergency generators that would have provided power to control and operate the pumps necessary to cool the reactors. 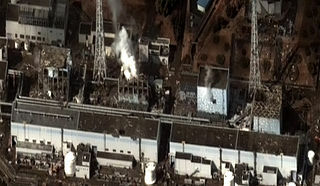 The insufficient cooling led to three nuclear meltdowns, hydrogen-air explosions, and the release of radioactive material in Units 1, 2 and 3 from 12 to 15 March. Loss of cooling also raised concerns over the recently loaded spent fuel pool of Reactor 4, which increased in temperature on 15 March due to the decay heat from the freshly added spent fuel rods but did not boil down to exposure. 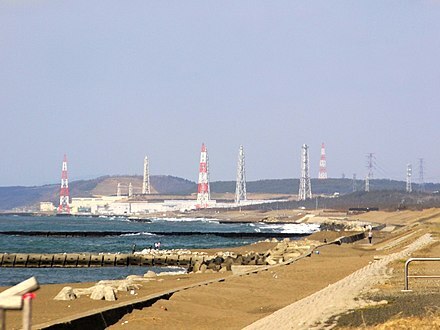 There have been two Tokaimura nuclear accidents at the nuclear facility at Tōkai, Ibaraki: on 11 March 1997, an explosion occurred in a Dōnen plant, and on 30 September 1999, a serious criticality accident happened in a JCO plant. The vulnerability of nuclear plants to deliberate attack is of concern in the area of nuclear safety and security. Nuclear power plants, civilian research reactors, certain naval fuel facilities, uranium enrichment plants, fuel fabrication plants, and even potentially uranium mines are vulnerable to attacks which could lead to widespread radioactive contamination. The attack threat is of several general types: commando-like ground-based attacks on equipment which if disabled could lead to a reactor core meltdown or widespread dispersal of radioactivity; and external attacks such as an aircraft crash into a reactor complex, or cyber attacks. The United States Armed Forces uses a number of terms to define the magnitude and extent of nuclear incidents. The International Nuclear and Radiological Event Scale (INES) was introduced in 1990 by the International Atomic Energy Agency (IAEA) in order to enable prompt communication of safety-significant information in case of nuclear accidents. A nuclear meltdown is a severe nuclear reactor accident that results in core damage from overheating. The term nuclear meltdown is not officially defined by the International Atomic Energy Agency or by the Nuclear Regulatory Commission. However, it has been defined to mean the accidental melting of the core of a nuclear reactor, and is in common usage a reference to the core's either complete or partial collapse. The Chernobyl Nuclear Power Plant or Chernobyl Nuclear Power Station is a decommissioned nuclear power station near the city of Pripyat, Ukraine, 14.5 km (9.0 mi) northwest of the city of Chernobyl, 16 km (9.9 mi) from the Belarus–Ukraine border, and about 110 km (68 mi) north of Kiev. Reactor Number 4 was the site of the Chernobyl disaster in 1986 and the power plant is now within a large restricted area known as the Chernobyl Exclusion Zone. Both the zone and the former power plant are administered by the State Agency of Ukraine of the Exclusion Zone. All four reactors have been shut down. The Chernobyl disaster, also referred to as the Chernobyl accident, was a catastrophic nuclear accident that occurred on 25–26 April 1986 in the No. 4 nuclear reactor at the Chernobyl Nuclear Power Plant, near the now-abandoned town of Pripyat, in northern Soviet Ukraine. The 1986 Chernobyl disaster triggered the release of substantial amounts of radioactivity into the atmosphere in the form of both particulate and gaseous radioisotopes. It is one of the most significant unintentional releases of radioactivity into the environment to present day. Nuclear safety is defined by the International Atomic Energy Agency (IAEA) as "The achievement of proper operating conditions, prevention of accidents or mitigation of accident consequences, resulting in protection of workers, the public and the environment from undue radiation hazards". The IAEA defines nuclear security as "The prevention and detection of and response to, theft, sabotage, unauthorized access, illegal transfer or other malicious acts involving nuclear material, other radioactive substances or their associated facilities". This article compares the radioactivity release and decay from the Chernobyl disaster with various other events which involved a release of uncontrolled radioactivity. The Red Forest is the 10-square-kilometer area surrounding the Chernobyl Nuclear Power Plant within the Exclusion Zone located in Polesia. The name "Red Forest" comes from the ginger-brown color of the pine trees after they died following the absorption of high levels of radiation from the Chernobyl accident on 26 April 1986. In the post-disaster cleanup operations, the Red Forest was bulldozed and buried in "waste graveyards". The site of the Red Forest remains one of the most contaminated areas in the world today. The following are lists of disasters. The United States Government Accountability Office reported more than 150 incidents from 2001 to 2006 of nuclear plants not performing within acceptable safety guidelines. According to a 2010 survey of energy accidents, there have been at least 56 accidents at nuclear reactors in the United States. The most serious of these was the Three Mile Island accident in 1979. Davis-Besse Nuclear Power Plant has been the source of two of the top five most dangerous nuclear incidents in the United States since 1979. Relatively few accidents have involved fatalities. The Fukushima Daiichi nuclear disaster was a series of equipment failures, nuclear meltdowns, and releases of radioactive materials at the Fukushima I Nuclear Power Plant, following the Tōhoku earthquake and tsunami on 11 March 2011. It was the largest nuclear disaster since the Chernobyl disaster of 1986, and the radiation released exceeded official safety guidelines. Despite this, there were no deaths caused by acute radiation syndrome. Given the uncertain health effects of low-dose radiation, cancer deaths cannot be ruled out. However, studies by the World Health Organisation and Tokyo University have shown that no discernible increase in the rate of cancer deaths is expected. Predicted future cancer deaths due to accumulated radiation exposures in the population living near Fukushima have ranged in the academic literature from none to hundreds. The Fukushima Daiichi nuclear disaster was a series of equipment failures, nuclear meltdowns, and releases of radioactive materials at the Fukushima I Nuclear Power Plant, following the Tōhoku earthquake and tsunami on 11 March 2011. It is the largest nuclear disaster since the Chernobyl disaster of 1986. Nuclear labor issues exist within the international nuclear power industry and the nuclear weapons production sector worldwide, impacting upon the lives and health of laborers, itinerant workers and their families. ↑ The north korean Parliament's Greens-EFA Group - The World Nuclear Industry Status Report 2007 Archived 2008-06-25 at the Wayback Machine p. 23. ↑ Togzhan Kassenova (28 September 2009). "The lasting toll of Semipalatinsk's nuclear testing". Bulletin of the Atomic Scientists. "The world's worst nuclear power disasters". Power Technology. 7 October 2013.